Maryland horseman Thomas H. Voss was posthumously inducted into the National Racing Museum’s Hall of Fame in Saratoga Springs, N.Y., on Aug. 4. Voss died at the age of 63 in 2014. The son and grandson of horsemen, Voss got his start as a jockey and came to know the sport from all angles during his illustrious career. 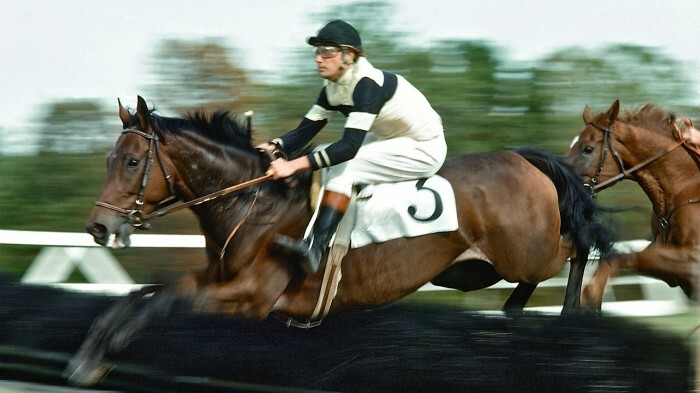 Voss received his trainer’s license in 1973, and it was here he cemented his reputation with 706 total wins, 394 of those over jumps, for purse earnings of more than $17 million. His most prestigious wins on the flat came in 2000 with John’s Call (Lord At War — Calling Guest, Be My Guest) who was victorious in the Grade 1 Sword Dancer Handicap at Saratoga and Grade 1 Turf Classic Invitational Stakes (N.Y.). Over jumps, Voss was the National Steeplechase Association’s champion trainer by wins for five years (1997, 2000-2002 and 2011). He led the sport in earnings nearly as many times (1997, 2002 and 2009) and held a variety of positions within the NSA. In 2010, Voss won the Eclipse Award for training Slip Away (Skip Away — Aurora Slew, Slew’s Royalty), winner of the Grade 3 Temple Gwathmey (Va.) and Grade 1 Colonial Cup (S.C.). In addition, he made his mark on the timber track, training the winning horses of the Maryland Hunt Cup in 1998 (Florida Law) and 1999 (Welter Weight). Tom Voss, pictured on Wild Sir at the 1976 Virginia Fall Races, was posthumously inducted into the National Racing Museum’s Hall of Fame on Aug. 4. Photo by Douglas Lees. Wife Mimi Voss was emotional when she reflected on the honor. “When I first heard about this [his induction] I was sobbing,” she confessed. Two-time Eclipse winner Good Night Shirt (Concern — Hot Story, Two Punch) also gained entry into the Hall of Fame. The chestnut gelding, bred in Maryland by Dr. and Mrs. Thomas Bowman, is owned by Harold A. “Sonny” Via Jr.
“It’s cool having a horse in the Racing Hall of Fame, although it made me look back and really wish he hadn’t gotten hurt,” said Fisher. Good Night Shirt was the first horse trained by Fisher to receive the honor, and the Monkton, Md.-based trainer said the event in Saratoga felt like a hometown party. “It was cool — all the support that was up there at the ceremony for Tom and Good Night Shirt. I think half of Monkton was up there,” he joked.